This important collection reveals as never before the quality, extent, and variety of the Italian American contribution to American literature. Bringing together fiction and poetry as well as academic essays and newspaper articles from the 1800s to the present, this volume covers a wide field of cultural experience. 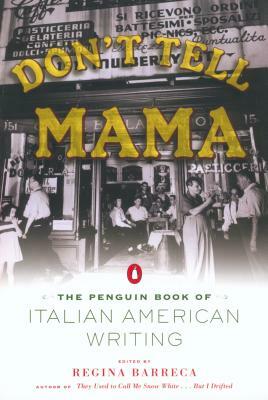 Including many previously unpublished pieces as well as classic works, and enhanced by an insightful and entertaining introduction by Regina Barreca, Don't Tell Mama highlights both the unity and the diversity of the Italian American experience. Regina Barreca is a professor of English and feminist theory at the University of Connecticut. She is the editor of seven books, including The Penguin Book of Women's Humor, and the author of four others. She writes frequently for the New York Times, Chicago Tribune, and the Hartford Courant.